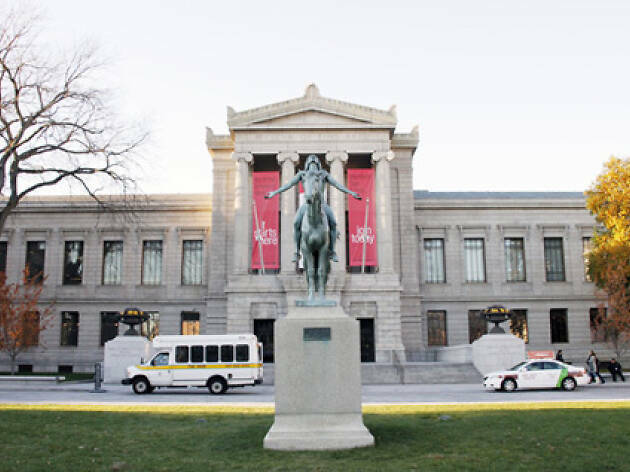 Founded in 1870, the Museum of Fine Arts—whose globe-spanning collection encompasses more than 500,000 objects—continues to grow and innovate. 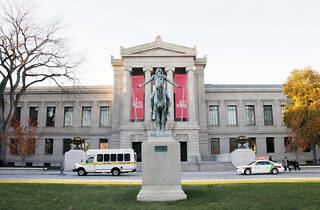 Of particular note is the collection of American art, including Paul Revere’s Liberty Bowl and paintings by John Singleton Copley; the Egyptian collection, much of which was acquired through excavations in conjunction with Harvard University; the Japanese collection (the first in America, and one of the finest in the country); and the Impressionist and Post-Impressionist sections, including one of the largest collections of Monet's work outside Paris. An array of performances and special events attract culture hounds of all ages. Note: Admission is by voluntary contribution (suggested donation: $25) on Wednesdays after 4pm. So easy to get lost in here! But you'll never get bored. The most recent Murakami exhibit is not to miss. He is well known, and a colorful artist to see in these cold winter months. The museum is located in the prime location on Northeastern's campus, and is free to all high school and most college students in the Boston area. From ancient jewelry to Egyptian remains to the impressionists to Warhol, this museum's got it all.